Sichuan:Maerkang (Barkam) Xian. SE of the city if Maerkang on highway 317, then on highway 211 to Dangba, village of Yinliang Cun. 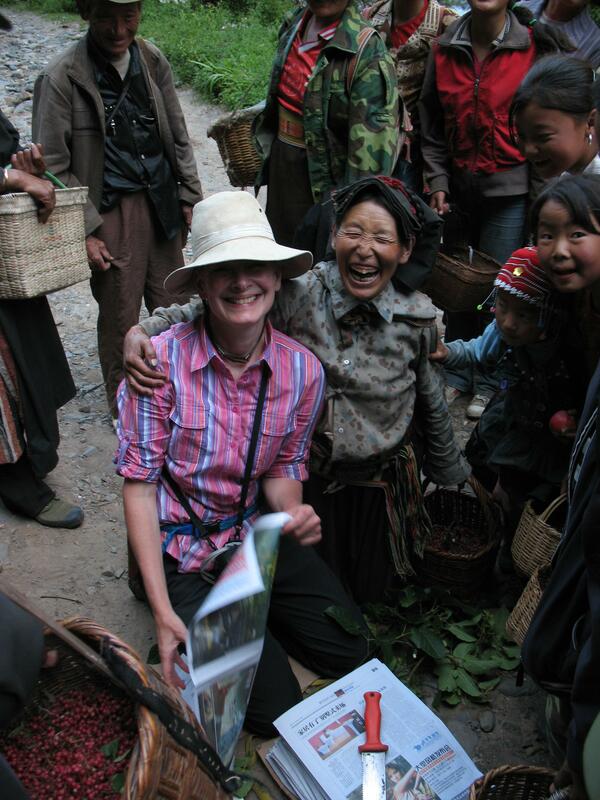 Villagers returning from gathering Huajiao (Sichuan pepper) making friends with Susan Kelley.